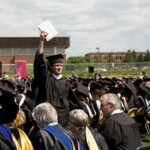 On Sunday, May 31, 608 seniors received their bachelor of arts degrees from Gustavus Adolphus College. It was the first commencement ceremony with Jack R. Ohle serving as President of the College. 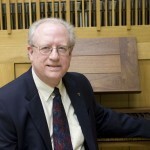 Rick Orpen, Professor of Music at Gustavus Adolphus College, received the 2009 Edgar M. Carlson Award for Distinguished Teaching during the College's commencement exercises on Sunday, May 31. 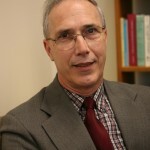 Orpen was presented the award by the 2008 recipient, Associate Professor of Political Science Richard Leitch. Registration is now available online for Gustavus Adolphus College's 45th annual Nobel Conference. 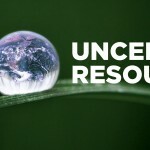 This year's conference, titled "H2O Uncertain Resource," is scheduled for Oct. 6-7. Gustavus Adolphus College alumnus and professional tennis player Eric Butorac was recently featured in the Sports section of the Star Tribune. Butorac, the 45th ranked doubles player in the world, will begin play in the French Open this week. Gustavus Adolphus College senior Tasha Carlson has been chosen by a committee of faculty, staff, and students to speak at the College's commencement ceremony Sunday, May 31. 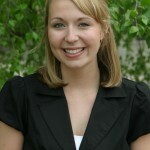 Carlson will graduate Sunday with a degree in communication studies. The Gustavus Annual Fund is racing to meet its goal of $2.01 million by May 31, 2009. When reached, it will be the largest unrestricted giving total in the history of the College. While the goal is within reach, additional gifts are needed before the fiscal year ends at Midnight May 31. On Thursday, May 21, Gustavus Adolphus College President Jack R. Ohle announced that Dr. Hank Toutain, Vice President for Student Affairs and Dean of Students, has accepted the position of Dean of Students at Kenyon College in Gambier, Ohio. The final recommendations have been submitted by the Commission Gustavus 150 task forces. These recommendations are now available for faculty, staff, students, and alumni to view on a secured website to provide input on the level of importance of each recommendation. 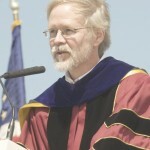 On Tuesday, May 19, Gustavus Adolphus College President Jack R. Ohle announced that Dr. David Fienen will assume the position of Interim Provost and Vice President for Academic Affairs at the College effective June 1, 2009. The Gustavus Adolphus College softball team saw its dream season come to an end Monday afternoon with a 4-2 loss to Coe College in Montclair, N.J. Gustavus, which received the third place trophy, finished the season with the program's first 40-win campaign at 42-9.